This cam is in the "low lift" category, same as the Z06 / LS6 but with a bit more duration. These cam kits are a great moderate performance upgrade to the Vortec Truck / SUV engine and pick up a bit more bottom / mid range torque than the Z06 due to a tighter LSA. This cam is great when the application requires that good idle quality, towing, and offroad performance be retained. These cams are also recommended as the limit for higher mileage engines as factory GM Performance valve springs are used minimizing increased cam bearing loads. This cam provides just a bit more performance than the Z06 cam. 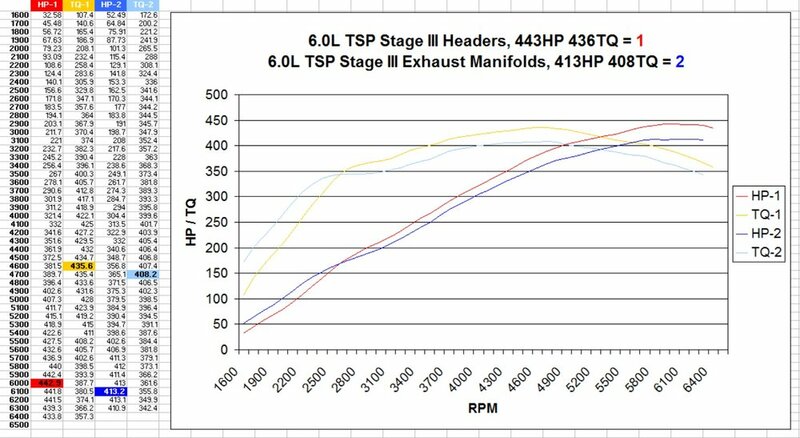 It has just a "hint" of lope at idle and requires a 700rpm idle. The Stage III cam in the 6.0L is very impressive for a cam being in the low lift category. We have found that a 700rpm idle is required with this cam but has reasonable idle qualities. It has just a "hint" of lope at idle indicating you don't have a stock engine under the hood. These cam kits are getting into the more radical category. They would be for Street / Strip / Offroad-Race. 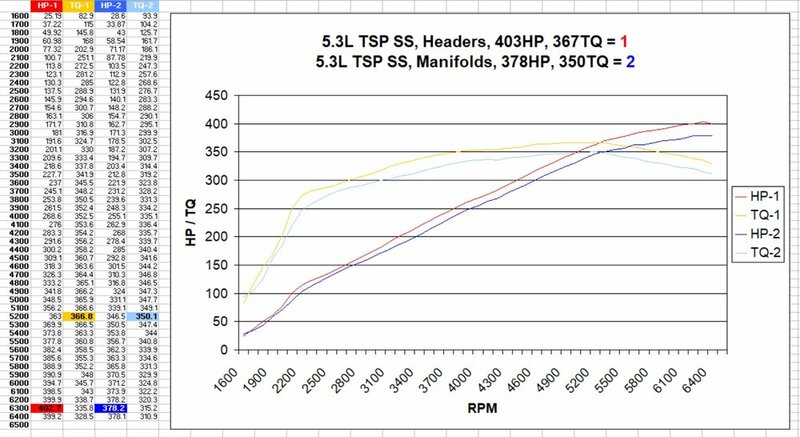 They require higher idle RPM (800+) and higher stall converters (2500-3500). There is no way getting around it, these cams shift the entire powerband up in RPM. They will have a noticeable lope at idle and depending on idle loads may require some custom fine tuning after installation with idle.